If you do not want to back up specific files and folders on the VM guest OS, you can exclude them from the backup. Note that this option is available only for Enterprise and Enterprise Plus Editions. Select Exclude the following files and folders to remove the individual files and folders from the backup. Select Include only the following files and folders to leave only the specified files and folders in the backup. 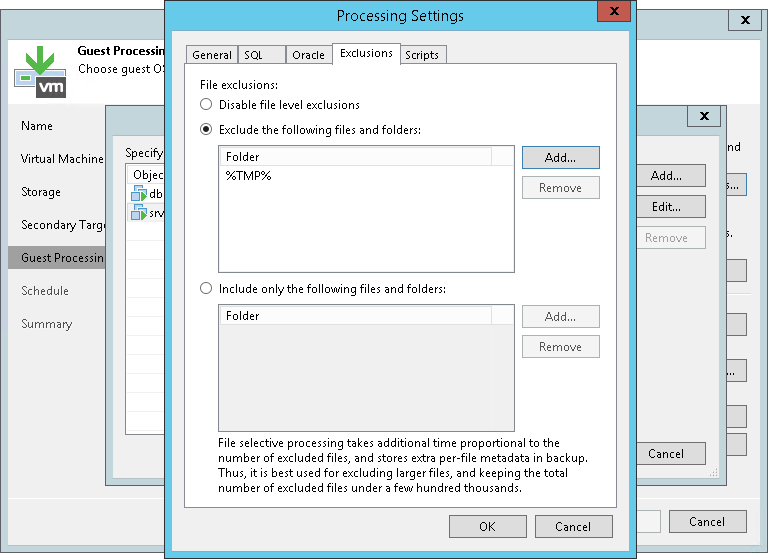 Repeat steps 5-6 for every file or folder that you want to exclude or include. Volumes on the dynamic disks must not be split. Spanned, striped and other types of split volumes cannot be excluded.